On the latest episode of my tech podcast, I wanted to feature a tech startup story that highlighted that the solution isn’t as important as the problem. I also wanted to explore where startups begin when market testing their technology. Not to mention the growing pains and the hurdles of managing of funding once you’re lucky enough to get it. 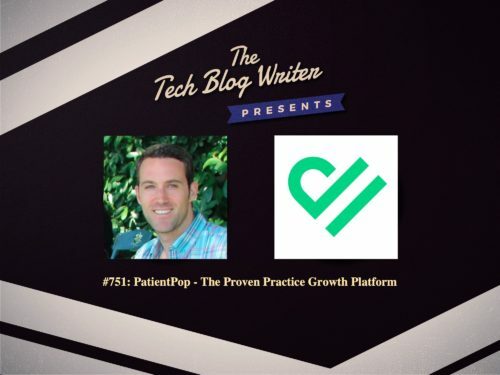 Today’s guest is Luke Kervin, the founder & Co-CEO at PatientPop which is the only complete practice growth solution. The company hit the headlines last year after increasing their total funding to $75M to fuel product innovation and market expansion. PatientPop helps providers thrive in the digital age by enhancing and automating each touchpoint in the patient journey — from the first impression online to digital booking to post-visit follow-up — PatientPop makes it easy for healthcare providers to attract more patients, manage online reputation, modernize the patient experience, and automate the front office. Luke has a reputation for being a highly motivated, goal-focused, and passionate entrepreneur. Successful track record working with start-up and early-stage companies; participated in two successful exits. His specialties include Start-ups, E-commerce; Online Advertising; Search & Online Marketing; Analytics; Product Management; Process Management; Strategy; Financial Modeling; Capital Raising; Team Building & Management. However, today the PatientPop founder and CEO speaks about how small practices can stay competitive in a digital world.